If you just stumbled upon this page for the first time and wonder what the heck it is all about, well here's the main line. 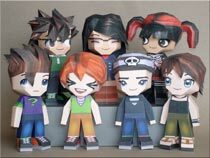 On this site, you will find papercraft models of Pokémon which you can print out and build yourself, with some scissors and glue (see bottom right-hand side of this page)! Each individual post on this site represents one Pokémon model. At the bottom of every post you'll find a description and building tips related to that particular model, plus a download link. On the middle of the right sidebar, you will find a Search Bar that can help you find any model on the site. Unfortunately, Torterra's template was lost to a hard drive crash so it needs to be redone. It will be released, don't worry. And what happened to the Corsola and Phanpy? I wanted to make them. I want a Paper Plusle, plz. Mudkip took the place of Corsola and Phanpy will be post a lil bit later since there will actually 2 versions and 2nd is not ready yet. What does the ad-money go to? And, will you be releasing the Pokemons in packs (like how you did the Leaf Pack) in the future? Also, could you include all of the info in a .txt file in the .zip? 1. The Ad-money goes to the site/server costs and also for future contest (whenever that will be :P). 2. "Leaf Pack", which I guess you mean the "Volume 1: Green" ebook that I made last year was something I just made for fun, but there's plans on making a new one and a Pokedolls one later this year. Might add a secret model in there, we'll see. 3. .txt file in the download pack would actually be a nice idea and easy to do, we'll probably do it for the next models. 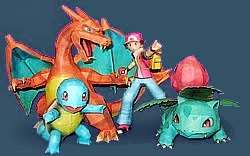 You guys should really consider leaving the PDO unlocked (I think that's the term used) so that people with Pepakura Designer can make their personal favorite Pokemon life-sized. I really want a life-size Umbreon, but it takes me to Pepakura Viewer when I open it so I can't resize it. I would ask one of you to do it, but I understand you're busy and shouldn't be hit with requests to life-size. I hope you let us life-size our own, I'm sure it'll make many people happy and like your site even more. In regards to the PDOs, the reason why we chose to lock them is because we have had problems the theft of our intellectual property, in the past. 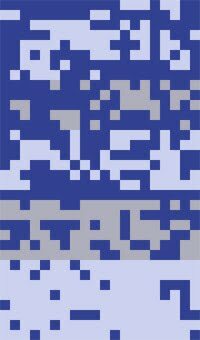 For example, just recently, a particularly unscrupulous person went to all the effort of removing any traces of Paperpokés from the models that we have published. This included our logos and comments, and then proceeded to post them on his/her blog as if it was their work. After this incident, we decided, as a team, that the only way to protect ourselves was to up our security. I hope you understand. If there is a specific request that you have, you can always contact us and we will consider it, depending on our workload. Thank you for telling me that Skelekitty, I understand completely. It really is a shame that someone went through so much trouble to steal your team's hard work just because they were too lazy to make their own. Now I'm actually somewhat glad that you lock the PDO's so that your work is safe. As for the request, do I send it to the e-mail address in the first post? 1. In the link bar below the logo, click on Contact. We might post some specials like the one we will be posting for the 4th of July but some members of the team will be going on long vacations this summer. And there are some other imposrtant projects that some of us are pretty busy with. But the weekly Monday posts will continue. i saw that on one of your pages you had a cyndaquil design coming so if you could work on that before the sneasel or murkrow. Out of curiosity, what programs do you guys use for the 3d modeling? Hei! What happened with Gastly? There have been some last minute schedule changes. It's still gonna make it's appearance, but not as soon as we anticipated. So what's up with the Facebook mention? I'd love to become a fan if your'e set up over there too! Post a link please? I just want to ask something. Since I were new to papercraft world, I wonder what is the best media to print out your paperpokes?? Answer please..
120-160gsm paper. If you scroll down to the bottom of the page, you'll find all the information a beginner needs. I just thougt of this but what if you guys disign a pokedex papercraft. Oh ~ I love those pokemon too much. It is the first time I reply for you but I usually check for new models everyday.